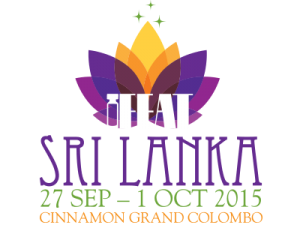 IFEAT 2015 - Sri Lanka - Ultra International B.V.Ultra International B.V.
With less than a week before the start of this year’s conference we are pleased to confirm the location of our meetings to all our valuable customers and suppliers. Our meetings will take place in the Ultra & Van Aroma Presidential Suite Room 920 (9th Floor). IFEAT and its conferences have played an important role for Ultra over many years. Mr Sant Sanganeria was a founder member of IFEAT (from 1977) and a past Chairman (from 1993-1995). Today Mr Ravi Sanganeria sits on the Executive as Chair of Future Destinations Committee. Over recent years other Ultra team members have held a role on the Executive with Mr Jonpaul Howarth and Mr Colin Ringleib also serving. We look forward to seeing you in Colombo!! Lemon OilBrazilCitrus limon (L.) Burm. F.